Change requires organizing. Power gives way only when it is challenged by a movement for change, and movements grow out of organizing. Organizing is qualitatively different from simple “activism”. 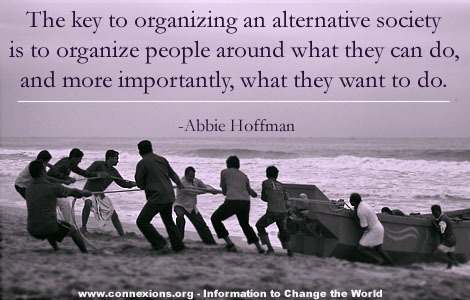 Organizing means sustained long-term conscious effort to bring people together to work for common goals. 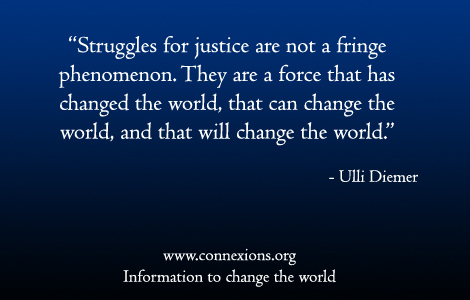 Below is a selection of articles, books, and other resources related to organizing compiled by Ulli Diemer for Connexions. 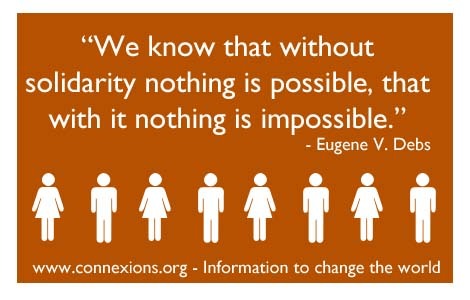 For more resources, check the Connexions Library Subject Index, especially under topics such as organizing, community organizing, labour organizing, workplace organizing, alternative media, boycotts, mass action, media relations, propaganda, protest, resistance, revolutionary politics, solidarity, strikes, tactics, and manuals and handbooks. Being an Organizer and Being an Activist is Not the Same Thing. By Carolina Mascareno Orellana. Community organizers have to know that successful social movements require strategy and long-term work and commitment, not just action. An organizer is someone who knows that you have to win the hearts and minds of the public in order to make real changes. And you have to look for, and convince, the people who still don’t agree with you or are apathetic about the issue. 2013. Common Sense for Hard Times. By Jeremy Brecher and Tim Costello. Presents a vision of society as it is and as it could be. The means to transform our society, the authors say, are at hand. We have to join together to use them. 1976. By Joan Newman Kuyek. Detailed information and advice on how to organize a group for social change. Kuyek discusses how to “think like an organizer”, build and structure groups, do successful fundraising, research all the possibilities, develop effective leadership, and create a culture of hope. 1990. By Gene Sharp. 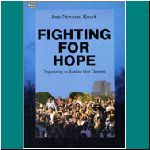 A short, serious introduction to nonviolent struggle, its applications, and strategic thinking. Based on pragmatic arguments, this piece presents nonviolent struggle as a realistic alternative to war and other violence in acute conflicts. 2010. 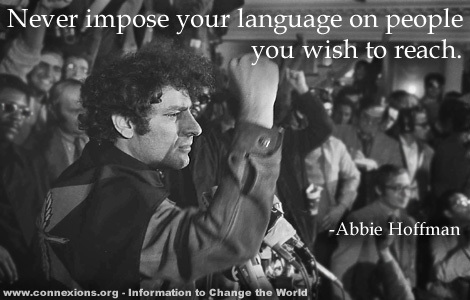 Naming the Moment: Political Analysis for Action: A Manual for Community Groups. By Deborah Barndt and Carlos Freire. A manual for community groups working for social change, which addresses questions such as how to be more effective in organizing, how to maintain sight of long-term objectives while working for short-term goals, and how to anticipate changes and be prepared for them. 1989. By Rick Arnold, Deborah Barndt, and Bev Burke. 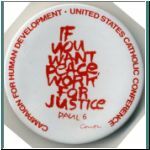 Written for educators working for social change in community groups, trade unions, churches, the peace movement, women’s groups, international development organizations, Central America and other solidarity networks. 1987. By Rosa Luxemburg. Luxemburg argues that working for reforms and immediate gains must be integrally linked to a perspective of working toward a social revolution. 1900. By Virginia Coover, Ellen Deacon, Charles Esser, and Christopher Moore. 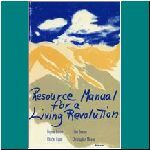 The Resource Manual is a guide to creating a new society community by community. It is a manual for people who are concerned or angered by the deterioration of our society and who, because they have some sense that their efforts can have an effect on change, are looking for tools to transform it. It is a working reference for those who are prepared to act to create a better life for themselves and others. 1985. By Saul Alinsky. A classic guide for organizers. 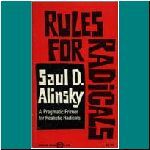 The first half explains what Alinsky sees as the perspectives and qualities of an effective organizer. The second half is dedicated to the organizer in action and includes a study of tactics. 1971. By Dan La Botz. An organizing manual for workers dealing both with major issues and everyday problems in the workplace. A wide range of workplace issues is covered, including, but not limited to, organization amongst immigrant workers, against racism, around women’s issues and around health and safety. There are also different chapters dedicated to different types of strikes, and instructions on how to go about organizing them, as well as strategic planning for forming and running unions. 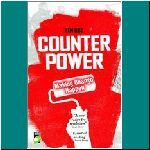 Large chunks of each chapter contain “inspiring as well as instructive” stories of workers’ actual experiences, which help to reinforce the book’s underlying premise that “There are common problems and there are collective solutions”. 1991. 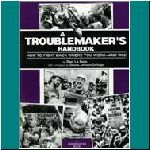 See also A Troublemaker’s Handbook 2 2005. By David Stratman. The key to changing the world. 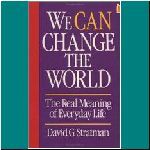 Stratman says, lies in a different view of ordinary people, a view that sees them as capable of changing the world. Hope in the future and belief in the possibility of fundamental change – belief in the possibility of revolution – are inextricably linked. 2003. What a Way to Run a Railroad: An Analysis of Radical Failure. 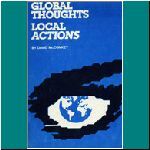 Selected Manifestos, Programs, Strategies, Visions of the Future, and Political Statements from the Connexions Library. Documents include the Levellers’ manifesto of 1649, The Communist Manifesto, Rosa Luxemburg’s Reform or Revolution, the African National Congress’s Freedom Charter, and many more. Some activists hold back from condemning tactics that are politically stupid and destructive, like the recent Ottawa arson attack by an anarchist group, because of a commitment to the doctrine of a ‘diversity of tactics’. 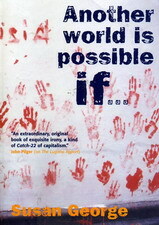 However, the original idea behind a diversity of tactics, that is, a variety of approaches to organizing for change, has been appropriated by activists devoted to property destruction as a media spectacle, who feel that they should be exempted from criticism by other activists, no matter how much their tactics serve to undermine the building of a broad-based movement against capitalism. 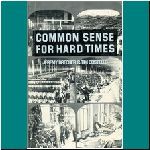 A review of The Householders Guide to Community Defence Against Bureaucratic Aggression, a pamphlet which outlines the organizational principles and campaign tactics that communities can use to fight projects or developments being foisted on them by unresponsive government bodies, whether by elected authorities or by civil servants. 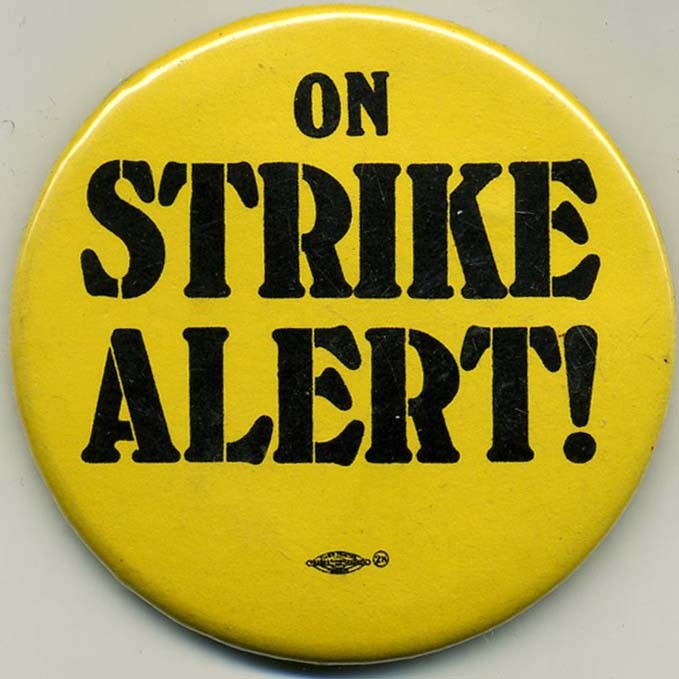 Tips and advice on how to effectively organise and carry out strike action at your workplace. The article stresses the importance of involving everyone, and of making decisions democratically. If there’s one thing many people need to understand, it is this: sustained mass movements rarely happen unless many of the participants believe they might win. Building a worker-centered campaign transforms not only the union members involved but also the union they belong to. The task is not just to salvage labour’s existing institutions but to transform them and build new ones. Advice on how to react when a big issue immediately angers a large number of people at your workplace, in order to try to organise effective action and build collective confidence for further actions. 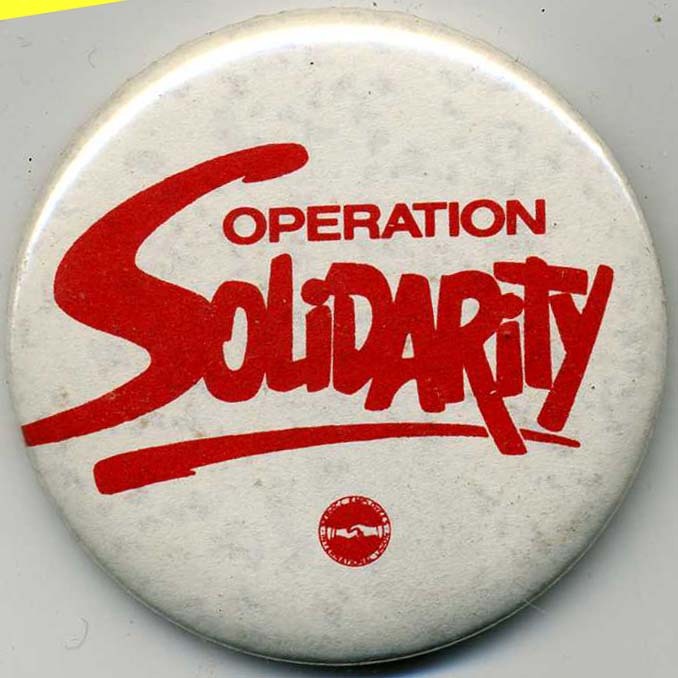 Many, perhaps most, worker centre-based organizing projects focused on workers in low-wage jobs, are conducted with the active support and, often enough, leadership provided by a variety of community-based organizations, with support from one or more unions. You’re working, or just started work somewhere, where there is no active collective workers' organisation. What can you do to get organised? “Salting” – the tactic of getting organizers hired at a targeted workplace in order to start a union organizing campaign – offers something the labour movement badly needs: a space for young people to develop skills as workplace organizers. Anyone concerned with re-building the antiwar movement should make their highest priority developing a realistic strategy to organize those unorganized and inactive millions. The converse is also true. Without an organizing effort that reaches those new people and builds for the long haul, we don’t have a prayer of defeating the most massive war machine in history. We desperately need an unsparing evaluation of past efforts and a sober strategy equal to the enormity of the tasks ahead. A lot of folks went to the G20 protests, sincerely wanting to stand up and be counted against savage global capitalism and its consequences. The problem is, almost nobody who didn’t participate, especially those who only heard of the protests through the media, has any idea what the protests were about, or why the protesters were there. Commentaries and stories about the experience of union organizing: what works and what doesn’t. There’s an intriguing idea based loosely on the union practice of ‘salting’ a workplace. Salting consists of union activists secretly hiring into an anti-union shop in order to promote unionism from within. Salting whistleblowers is a similar idea: getting people hired into a corporation engaged in wrongful behaviour in order to document and expose corporate wrong-doing. Instead of striking, workers with demands that the bosses are unwilling to meet can collectively decide to start a “work-to-rule”. Almost every job is covered by a maze of rules, regulations, standing orders, and so on, many of them completely unworkable and generally ignored. Workers often violate orders, resort to their own techniques of doing things, and disregard lines of authority simply to meet the goals of the company. There is often a tacit understanding, even by the managers whose job it is to enforce the rules, that these shortcuts must be taken in order to meet targets on time. Techniques for improving outdoor advertising. By George Lakoff. Lakoff explains how conservatives think, and how to counter their arguments. He breaks down the ways in which conservatives have framed the issues, and provides examples of how progressives can reframe the debate. A guide to if, when, and how to seek media coverage for a cause. To reach the government with your message you need to lobby like a pro. A guide to writing letters to politicians. The authors discuss why collective decision-making doesn’t always work as well in practice as in theory. How do we make our organizations attractive to large numbers of people? And how do we keep these folks engaged for the years, even decades that it will take to create a sustainable society? Here are some suggestions about how to make our movements strong and feed our spirits as we organize. Stan Weir on some of his life and organizing experiences at different jobs, and on what he describes as the “the only organizational form opposed to formal bureaucracies which cannot be captured by them”, the informal work group. David Rovics asks why so much of the left in the US is so attached to being “dreadfully boring?” Why do so many people on the left apparently have no appreciation for the power and importance of culture? And when organizers, progressive media and others on the left do acknowledge culture, why is it usually kept on the sidelines? A guide to conducting productive and inclusive meetings in the context of working for social change. Discusses the democratic organizational forms appropriate to movements working for societal change. Argues that the ‘consensus’ model of group decision-making rarely works well, and is inherently anti-democratic. The democratic model is better both in principle and in practice. Group problems to be aware of and challenge. Suggestions for dealing with the classic dilemma of a democratic opposition organization: having a structure in which responsibilities are delegated to those with the time and expertise to carry them out well, while at the same time maintaining democratic control by the membership of those to whom responsibility has been delegated. Contrary to what we would like to believe, there is no such thing as a “structureless” group. Any group of people of whatever nature that comes together for any length of time for any purpose will inevitably structure itself in some fashion. The structure can be overt, or it can be hidden. Thus so-called “structurelessness” is actually a way of masking power. Though embraced by people who imagine themselves to be radical agitators, the thoughtless compulsion to ‘action’ mirrors the pragmatic empiricism of the dominant culture. Because ‘activist-ism’ emphasizes practicality, achievability, and implementation over all else, efforts to understand the deep structures of capitalist society with the goal of developing long-term strategies to change them necessarily get shunted aside. Some basic principles of the Zapatistas’ organizing process can be culled from the textbooks and the experience, such as discipline and hard work, face-to-face community outreach, long-term planning, reduction of government dependence through collective work projects, avoiding confrontation with the enemy and emphasizing shared experience to convince unsympathetic neighbors.. The story of the struggle that gave birth to a housing co-operative and destroyed the credibility of the Wages for Housework sect. Workers are realizing they have to organize globally to combat companies who move production from one low-wage location to an even lower-wage location, in an endless effort to reduce workers’ wages and working conditions everywhere. Organizing soldiers to resist war. Some ideas about organizing a community group to fight for democracy and against a reactionary government. Citizens fight lead pollution in their neighbourhood. A look at how Unite’s community union membership is working. Campaigns to organize unorganized workers are taking place in different situations and different countries. Sometime big unions are involved, sometimes the campaigns are local. They are a growing movement, and they are having an effect. A 1976 documentary film about a miners’ strike in Kentucky. Two other dramatic films about prolonged strikes in mining communities which provide an excellent picture of the problems, struggles, organizing, and solidarity that embody strikes are Salt of the Earth and Matewan. All of these films vividly show that when miners go on strike, it is not only that male miners who are engaged in the struggle, but also the women and children in the community. 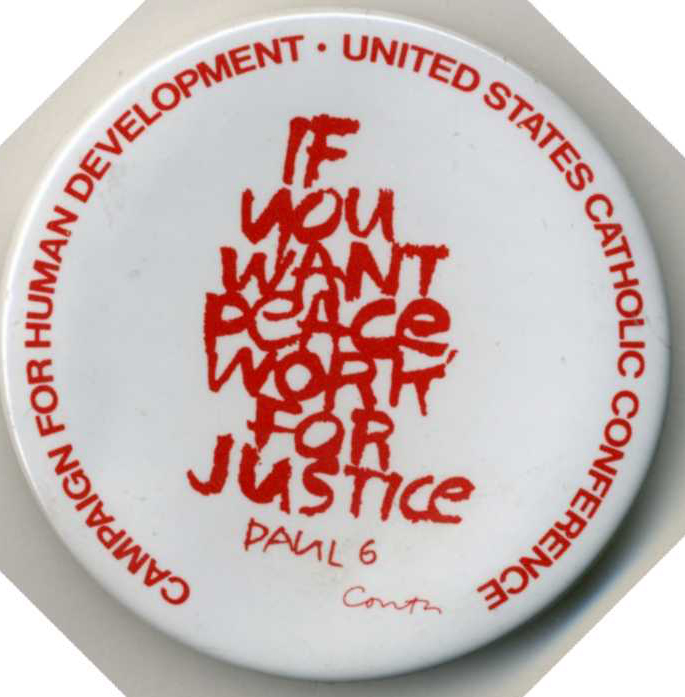 A critical account of a peace march. The power of the economic boycott as one tactic in a larger movement played a major role in in the 1980s in bringing down the apartheid laws that were used to repress black South Africans. Experiences organizing in an Ontario community. Organizing against Litton in Prince Edward Island. Labour’s strike effectiveness and organizational strength have long been connected. Throughout history, work stoppages have been used for economic and political purposes, to alter the balance of power between labour and capital within single workplaces, entire industries, or nationwide. Strikes have won shorter hours and safer conditions, through legislation or contract negotiation. In 1985, Mkhuseli ‘Khusta’ Jack organized a consumer boycott in the city of Port Elizabeth, South Africa, which helped end racial apartheid. In 2000, Oscar Olivera was the spokesperson for a popular resistance that stopped the privatization of water in Cochabamba, Bolivia. In 2013, they met face to face and shared their stories. Discusses the strains that take their toll on intentional communities. To have a chance of succeeding, intentional communities need to start with a shared analysis of what kind of social change is needed, common agreement to a written sense of principles, a common strategy for moving ahead, and a mutual understanding of the conditions of living together. 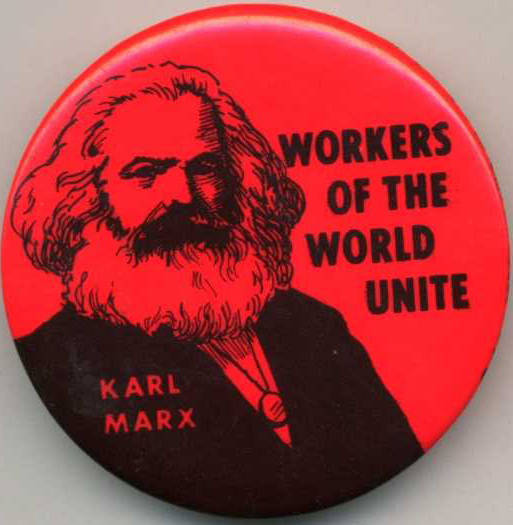 Martin Glaberman reflects on his experiences as an autoworker and a Marxist activist. An interview with Myles Horton of the Highlander Center. See also Horton’s autobiography, The Long Haul and We Make the Road By Walking, a book based on conversations between Myles Horton and Paulo Freire. Our movements for change face powerful opposition from those who control power and wealth: the rich, corporations, and their political and ideological apparatus. Here are a few articles about how the other side organizes and combats movements for social change. By Chris Hedges. Hedges examines the Christian Right’s origins, its driving motivations and its dark ideological underpinnings, with interviews and coverage of events such as pro-life rallies and weeklong classes on conversion techniques. Hedges argues that the movement resembles the young fascist movements in Italy and Germany in the 1920s and 1930s, movements that often masked the full extent of their drive for totalitarianism and were willing to make concessions until they achieved unrivaled power. 2006. By Keiron Farrow. What all the current anti-fascist approaches have in common is that they miss the real danger. This doesn’t lie in the BNP taking power, in the possibility of concentration camps or any of the other scare stories we’ve been hearing recently. It lies more immediately in the far right colonising the anti-mainstream vote and developing party loyalty, thereby blocking the development of an independent working-class politics capable of defending our conditions and challenging neoliberalism. Tips for recognizing and fighting online disruption and disinformation. The Reut Institute’s analysis vindicates the effectiveness of the Boycot Divestment Sanctions strategy. As Israeli elites increasingly fear for the long-term prospects of the Zionist project they are likely to be more ruthless, unscrupulous and desperate than ever. Online comment threads and forums are increasingly being hijacked by people who aren’t what they seem to be. The anonymity of the web gives companies and governments golden opportunities to run astroturf operations: fake grassroots campaigns, which create the impression that large numbers of people are demanding or opposing particular policies. Attempting to mix subcultural anarchist mores with a cross-cutting class analysis that hinges on racial separatism and ancestral traditions, such as tribalism, Anarchist Nationalism demonstrates a worrying tendency of reactionaries to co-opt radical language in attempts to gain control over large popular fronts. Rick Berman, the king of corporate front groups and propaganda, was caught on tape detailing his attacks on public interest groups in the labor and environmental movements. Berman specializes in setting up pro-corporate front groups to attack grassroots citizen groups. Berman advocates and practises a range of dirty tactics and propaganda techniques. According to Jeremy Brecher, the right’s enormous success in framing public debate is based not just on isolated issues, but on an overall definition of what the debate is about. The purpose of this guide is to suggest ways that progressive community-based advocacy groups can reframe the right’s definition of the debate – ways that can connect with deeply-held values and understandings. It is designed to help advocates frame their views for the media, develop educational programs and materials for their constituents, and talk to their fellow citizens in meetings and informal discussions. By Randall Williams and LynKim Wells. A handbook for dealing with hate groups in communities across North America, dealing with the nature of such groups and how they work and how communities can band together to combat them. Poor responses to hate groups are also discussed and analyzed in the case studies so they can be learned from. Below is a small selection of organizations, websites, and online tools concerned with organizing. 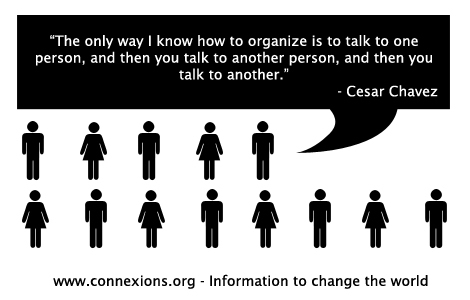 For more organizations and websites, check the Connexions Directory A-Z and the Subject Index, especially under topics such as organizing, community organizing, labour organizing, solidarity, and alternative media. Works to help build a stronger more unified grassroots movement. It supports locally-based grassroots organizing by sharing political analysis, mobilizing for direct action, monitoring the centres of corporate and government power, expanding channels of communication, and sharing skills and infrastructure. 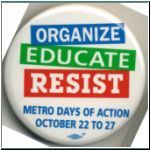 Effective organizing requires information and analysis of what is going on in the world – something the mainstream media are not designed to provide. This page provides an annotated list of alternative media, media designed to go beyond the mainstream narratives and provide information and analysis about struggles and organizing. Dedicated to building a social justice movement led by people of colour. Highlander serves as a catalyst for grassroots organizing and movement building in Appalachia and the American South. It works with people fighting for justice, equality and sustainability, supporting their efforts to take collective action to shape their own destiny. Through popular education, participatory research, and cultural work, we help create spaces – at Highlander and in local communities – where people gain knowledge, hope and courage, expanding their ideas of what is possible. The founding principle and guiding philosophy of Highlander is that the answers to the problems facing society lie in the experiences of ordinary people. Those experiences, so often belittled and denigrated in our society, are the keys to grassroots power. 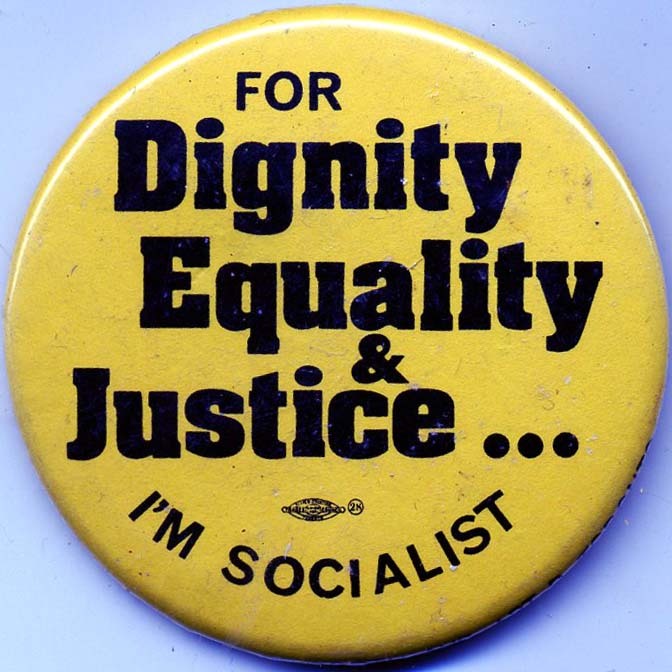 Libertarian communist site devoted to the goals of liberty and community, with some valuable resources on organizing and on the history of radical political movements and organizing, including an Organizing Toolkit. Labor Notes is a U.S. media and organizing project by and for union activists. 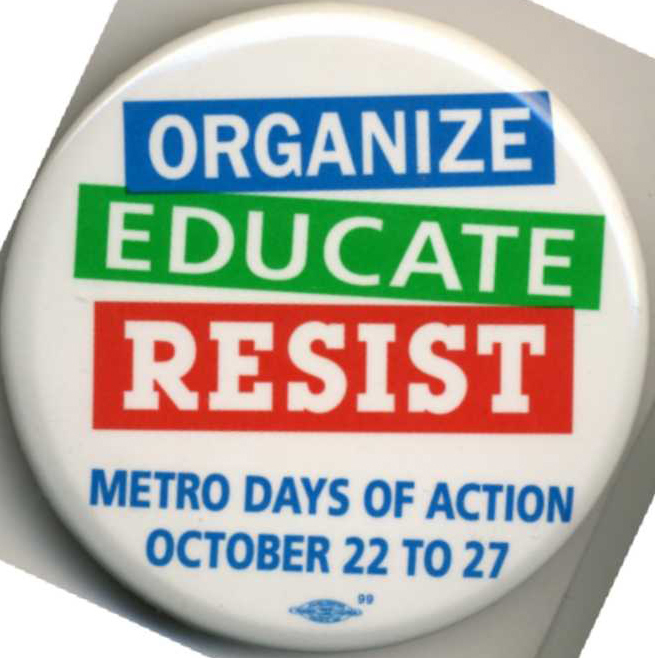 Through its magazine, website, books, conferences and workshops, it promotes organizing, aggressive strategies to fight concessions, alliances with workers’ centers, and unions that are run by their members. 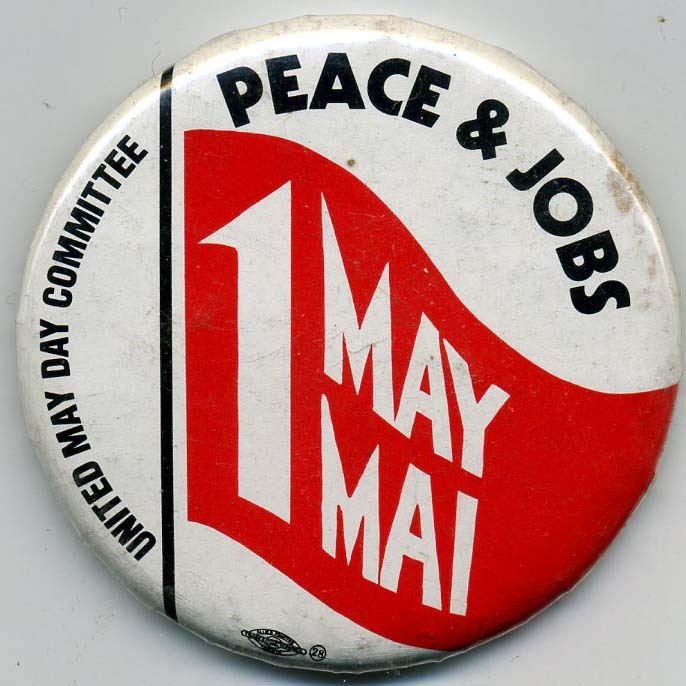 It encourages connections between workers in different unions, workers centres, communities, industries, and countries to strengthen the movement – from the bottom up. 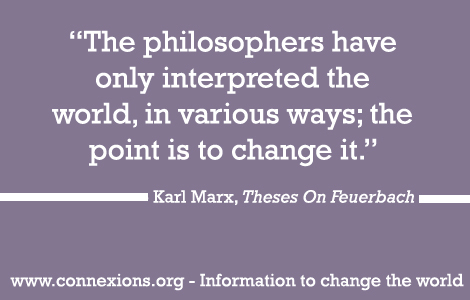 Large searchable archive of the writings of Marx and Engels and others in the Marxist tradition. 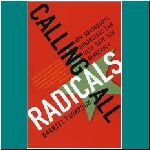 A rich resource on the history of the theory and practice of movements for radical change. A comprehensive directory of Canada’s print and broadcast media, useful for doing publicity and media work. Subscriptions ($109.95/year) obtainable here or here. Organizing Upgrade is an attempt to engage left leaders and innovators in the field of community organizing in a strategic dialogue. A socialist, feminist, anti-racist organization featuring articles and analysis on current events and the history of radical movements. A service to help organizations get more media coverage. A Sources membership allows members to disseminate an unlimited number of news releases; to feature their media profile on the Sources.com website, and to be listed under all the topics and issues that the organization is prepared to speak to the media about. Sources is used primarily by journalists looking for experts and contacts when they are doing a story. Organizations that list themselves in Sources signficantly increase their odds of getting called by reporters. More info here and here; membership form here. 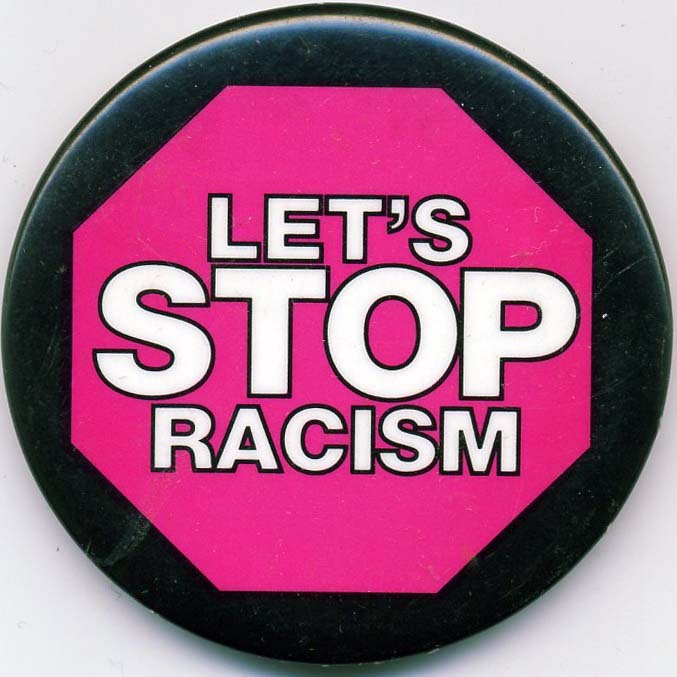 WAC works with union and community allies to address the roots of the problems we face and the weak laws that allow racism and poverty to affect our lives and our workplaces. WAC is committed to developing leadership amongst the workers directly affected by low wages and poor working conditions, and to actively involve them in our campaigns and advocacy work to improve wages and working conditions for all workers. This is a small sampling of books and pamphlets related to organizing. 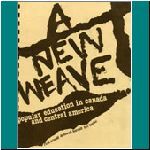 For many more books and resources, check the Connexions Subject Index, especially under topics such as organizing, community organizing, labour organizing, solidarity, manuals and handbooks, and alternative media. By Mike Hudema. Hudema presents a list of actions to change the world, directed towards garnering public attention and instigating discussion. With a little creativity, they can be tailored to suit a wide spectrum of causes. 2004. By Andrew Boyd. Practical skills for activists and organizers. 1999. By Aidan Ricketts. A guide to grassroots activism. Practical tools, methods and strategies needed for a successful campaign. 2012. By Susan George. 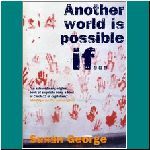 George suggests that we can create a new and better world if we act together to bring about changes. She stresses the importance of combining numbers, organization and alliances with “knowledge in itself”, inspiring educators, the rejection of illusions and the practice of non-violence in order to achieve change. 2004. By Andrea Langlois & Frederic Dubois. Autonomous media are vehicles of social movements that attempts to subvert the social order by reclaiming the means of communication. 2005. By Gabriel Thompson. 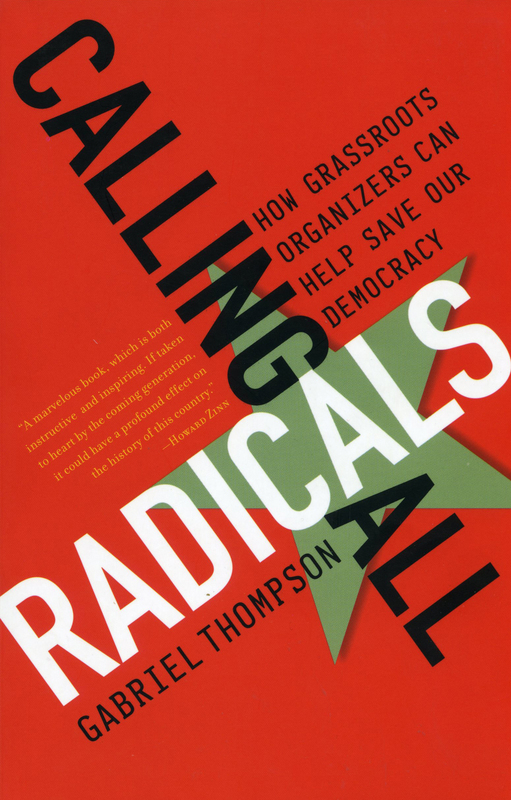 Thompson argues that we can reclaim our democracy through grassroots organizing. Community organizing is defined as a process of creating leaders from under-represented communities so that they can feel empowered and go on to challenge the status quo, rather than be perpetually dependent on the aid of others. The chapters then delve into the strategies for directly confronting those in power, and building relationships between members of the marginalized community itself. 2007. By Barb Thomas and Charles Novogrodsky. How workers can equip themselves with arguments and information to resist prejudice. 1983. By Tim Gee. 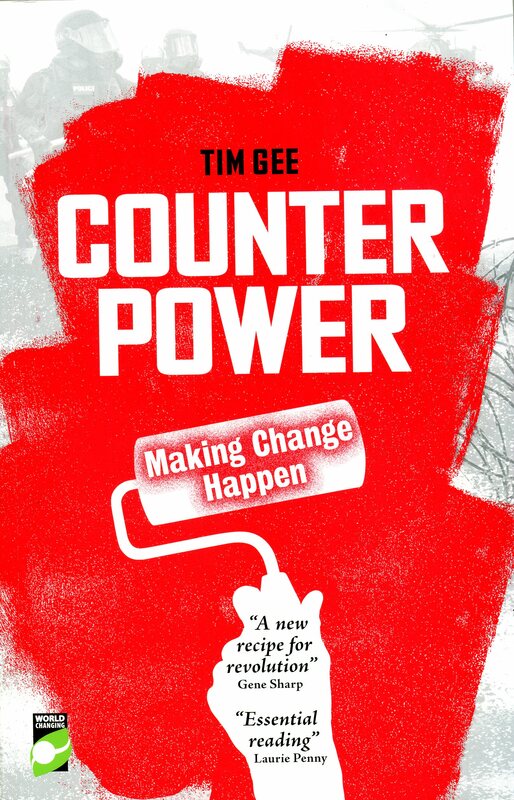 Argues that no major movement has ever been successful without “counterpower,” or the power that the “have-nots” can use to remove the power of the “haves.” This book sets out to demystify the power dynamics of social change. 2011. By Alan Wilford. Farm Gate Defence takes its name from the tactics of farmers who have blocked driveways to stop bailiffs and sheriffs from seizing equipment, live-stock and produce. These farm gate defences have been combined with other actions such as tractorcades, demonstrations at local banks, and sabotaging auctions. 1986. By Bruce E. Levine. Levine asks why most people remain passive and appear resigned to powerlessness. Why aren’t we all out in the streets? Levine analyzes the causes, and suggests ways of recovering dignity, energy and unity in order to wrest power away from the corporatocracy. 2011. By Si Khan. A book about community organizing, written for organizers. The author is a community organizer active in Appalachia and the Deep South, and most of the material in the book is from his personal experiences of working in the rural South in the US. The book is a step-by-step handbook of effective organizational techniques, starting from the moment an organizer analyzes and enters a community to the time s/he leaves it after enabling its people to be in a position where they can handle their new power on their own. 1970. By Alice Lynd and Staughton Lynd. 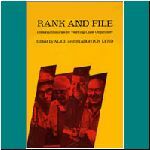 Oral histories of labour organizers, rank and file militants who organized in their workplaces. 1974. By Deborah Siegel. Siegel wants readers to know about the multifaceted and contentious history of what is called feminism’s “second wave” so that they can avoid both the trap of rebelling against its supposed stodgy “political correctness” and that of idealizing its supposedly harmonious “sisterhood”. 2007. By Judy Rebick. An oral history of the women's movement in Canada from the 1960s through the 1990s. 2005. By Brian K. Murphy. 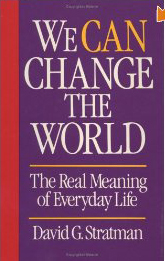 Written for community workers, adult educators and social activists of all kinds, Murphy’s book addresses society’s pessimism about social change when confronting large corporations and governments, and provides means for empowering ourselves and making change happen. 1999. Uncivil Obedience: The Tactics and Tales of a Democratic Agitator. By A. Alan Borovoy. Borovoy maintains that we can and should push for social change without breaking the law. 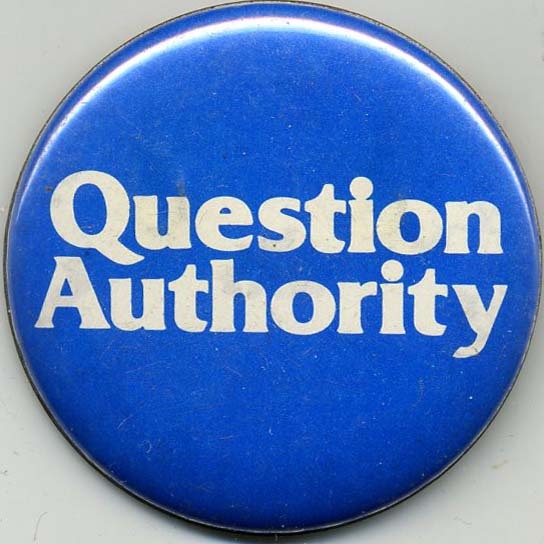 He claims, “We can be completely obedient to the law and absolutely miserable to the government, at one and the same time.” 1991. Notes from Nowhere Collective. We Are Everywhere is a book of stories, stories written by activists from the front lines of resistance against capitalism and economic globalization, tales of struggle and rebellion from participants in a movement of movments. 2003. We Make the Road By Walking: Conversations on education and social change. Myles Horton and Paulo Freire. Horton, the founder of the Highlander Center, and Freire, a Brazilian educator, discuss their experiences and their views on participatory education, on the differences between education and organizing, and on working for change, in this thought-provoking book. 1990. By Staughton Lynd and Andrej Grubacic. A dialogue about organizing and social change. Edited by Neil Wollman. Advice on getting organized, preventing burnout, networking with other groups, communicating effectively, and changing attitudes. 1985.